All members of The Sarasota Bay Group abide by the belief that every relationship should start with a comprehensive financial plan. Your wealth strategy doesn't solely consider your investment objectives. Rather, it is tailored to address the personal life goals you've identified and prioritized. 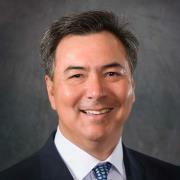 Jimmy began his financial services career in 1992 with Kemper securities. From 1996 to 2008, he transitioned to UBS Financial Services. During these years, he significantly expanded his business, earning the highly coveted Private Wealth Advisor designation during the last 5 years, as well as being a Member of the UBS President’s Council. In 2008, he and his team joined Morgan Stanley where he has consistently been in the Morgan Stanley President’s Club. 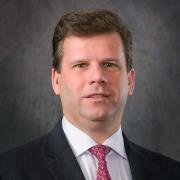 Jimmy currently serves on Morgan Stanley’s Regional Financial Advisor Council. Prior to his financial services career, Jimmy served in the US Marine Corps, attended East Carolina University and held sales and management positions at Motorola and ADP. His team-based wealth management practice is focused on assisting his clients protect and transfer individual and family wealth. 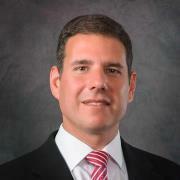 He specialized in Estate Planning, Alternatives including Private Equity and Hedge Funds, and Municipal Bonds. Jimmy resides in Sarasota, Florida with his wife Kim. The have two grown children, Alex and Sarah. Jimmy enjoys golfing and travelling. 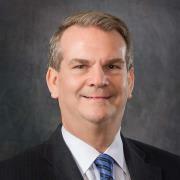 Dan earned his Bachelor of Science degree in Finance from The Pennsylvania State University in 1984, and served as an Officer in the United States Navy. In 1991 Dan bought and cultivated his own successful l business in New Jersey, which he sold in 1995. His financial services career began in Sarasota in 1995 and has included advisor positions with the legacy firm PaineWebber which was acquired by UBS Financial Services. 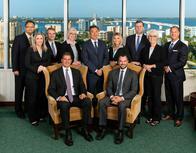 Dan, along with his team, now the Sarasota Bay Group at Morgan Stanley Sarasota, transitioned their wealth management advisory practice to Morgan Stanley in March, 2008. 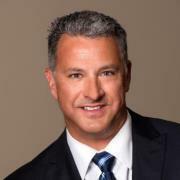 Dan has since earned the Portfolio Manager designation at Morgan Stanley* as well as having earned the following industry licenses: Series 7, 31, 63, 65 and Health, Life and Variable Annuity. In addition to stocks, bonds, and mutual funds in his investment recommendations. His practice focus includes corporate retirement plans, IRA rollovers, as well as retirement planning, and legacy wealth transfer. Dan has a son Ryan, studying business at Florida State University in Tallahassee, FL, and is married to Alla, a World History teacher in the Sarasota School system. Dan is active in the community, enjoys playing golf, exercising and the outdoor Sarasota lifestyle. Christine began her Financial Services career in 2000 at Legacy PaineWebber which was acquired by UBS Financial Services. Prior to starting in the financial services industry, she managed a small business for many years. 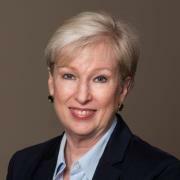 She joined Morgan Stanley* in 2008 where she is a Vice President Financial Advisor. 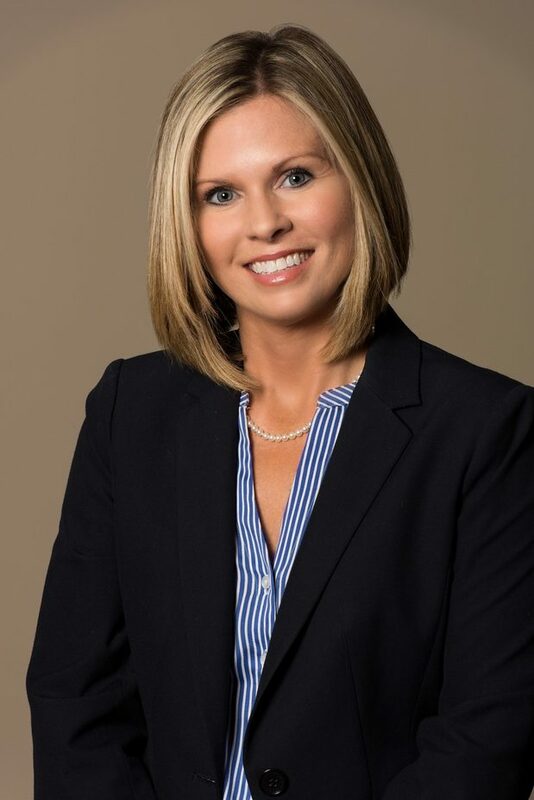 She focuses on helping clients define their goals, life expectations, cash flow needs and risk tolerance, and then helps them develop an investment strategy focused on their objectives. 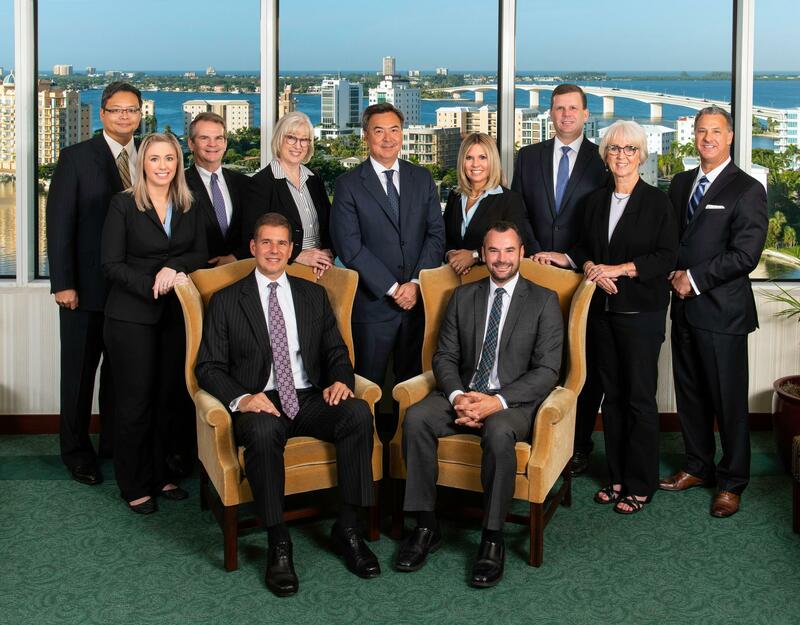 Christine and their team The Sarasota Bay Group focus their practice not only on personal accounts but also corporate retirement plans, retirement IRA rollovers as well as wealth transfer, business legacy planning, life insurance and annuities. Christine is a native of Sarasota, Florida and enjoys spending time with her husband Scott, their sons Brady and Brent and their families. She is a member of the Women’s Leadership Council of the Boys and Girls Clubs as well as an active member in the community. 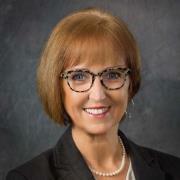 She currently holds her Series 7, 63, 31, Heath, Life & Variable Annuity licenses. Mr. Dean joined Morgan Stanley as a Financial Advisor and Financial Planning Specialist after a 26-year career in finance and accounting including the Chief Financial Officer position for several public and private companies in Southwest Florida. His focus is on Financial Planning, Portfolio Risk Analysis, Separately Managed Accounts, and Alternative Investments for the Sarasota Bay Group. Joe graduated from the University of Missouri with a BSBA in Accounting and also completed his Master of Business Administration degree at the University of South Florida, Executive MBA Program in Tampa, Florida. 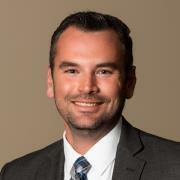 He is a Non-Practicing Certified Public Accountant with the Missouri State Board of Accountancy. He currently holds the Series 7, 31 and 66 securities licenses. Joe lives in Sarasota with his wife Ann and their three children Joey, Casey and Katy. Jean-Pierre was born in Manhattan, New York. He studied undergraduate at Adelphi University in Garden City, New York and graduated from Fordham University in Bronx, New York. He moved to Sarasota in 1999 with his wife Ela and son, Nicholas. In Sarasota, JP began his financial career with Merrill Lynch. In 2001, he transitioned to UBS Financial Services where he practiced wealth management while focusing on the specialized needs of affluent families. During his tenure with UBS, his practice evolved from traditional financial advisory services to incorporate institutional investments such as Hedge Funds and Private Equity Funds in his clients’ portfolios. In 2010, JP progressed to Morgan Stanley and by 2015 had united with The Sarasota Bay Group at Morgan Stanley in order to provide his clients with team-based wealth management and comprehensive financial services which include family wealth preservation and multigenerational legacy planning. During his time off work, he enjoys mountain biking, skiing, sporting clays, fishing and taking the family dogs to the park. JP is proud to give back to the community as a Rotarian with the Sarasota Rotary Club. Edward Magda joins The Sarasota Bay Group at Morgan Stanley after spending the last 5 years on the Morgan Stanley fixed income trading desk. He has over 20-years’ experience in the financial industry, primarily in fixed income, where he has work as trader, institutional salesperson and portfolio manager. Prior to joining Morgan Stanley, Ed was a Portfolio Manager at Franklin Templeton managing individual municipal bond portfolios for high net worth clients and family offices. Prior to that he held similar positions at U.S trust and Oppenheimer Capital managing both taxable and tax-exempt fixed income assets. Ed began his career as a trader on the commodities desk at Bank of Tokyo in 1990 where he traded financial futures and options for institutional accounts. Matthew started his Financial Services career in 2003 and has held positions ranging from Teller to Operational Management. In 2012 his career path brought him to Morgan Stanley where he has served as a Service Manager and Risk Officer for The Southwest Florida Complex. Now, Matthew brings a regulatory and client focused insight, which is necessary in today’s environment, to the Sarasota Bay Group at Morgan Stanley. Matthew and the Sarasota Bay Group at Morgan Stanley work together using a multi-faceted and in-depth approach to assist clients in reaching the goals they set together as opposed to trying to outperform the market or a performance benchmark. A former member of the Florida Army National Guard and native Floridian, Matthew is an avid football fan and Florida lifestyle enthusiast. When he is not working with the team or his clients; Matthew enjoys days boating with his wife Jennifer and his daughter Gwen or volunteering his time to charitable endeavors. Matthew currently holds FINRA Series 7, 66, 9, 10 and 3 licenses. Alisa has worked in the financial industry since 1993 starting with a small investment advisory firm in St. Louis, Missouri. After moving to Sarasota, Florida early in 1999, she landed at UBS PaineWebber and started assisting Jimmy Driggers and Daniel Smith. The team came over to Morgan Stanley Smith Barney in the Spring of 2008, eventually transforming into The Sarasota Bay Group. Alisa has her Series 7 and Series 66 licenses as well as Morgan Stanleys Portfolio Associate designation. Until recently she also held the position of Complex Banking and Lending Coach. Alisa and her husband Bob reside in Sarasota and have two grown children Parker and Hayley, as well as a new grandson Jack. She enjoys travelling, reading and volunteering at the local food bank in her spare time. Kayne began in the operations side of the financial services industry in 2003 at UBS. She started as the wire operator entering all of the trade orders for the advisors. In 2005 she joined our team as a Client Service Associate and passed her Series 7 and Series 66 exams. Originally from the southeast coast of Massachusetts, Kayne moved to Sarasota in 1993 with her husband Shelly and their 2 children Troy and Carly. She managed her husbands chiropractic office until joining UBS. Her family has now grown to include a daughter-in-law and a granddaughter. Besides spending time with her family, Kayne loves spending time outdoors and enjoys photography, kayaking, camping. Ready to start a conversation? Contact The Sarasota Bay Group today.